A man in South Africa by the name of Philani Dladla lives on the streets, but rather than abiding by the typical stereotype of a beggar, he has decided to spend his time helping others. Twenty-four-year old Dladla moved to Johannesburg for work, and there he found himself caught up in drugs. Things quickly spiraled out of control and he was not able to afford his rent and wound up on the streets. While living on the streets Dladla noticed how the other homeless people were getting money from passersby for doing nothing but begging. He wanted to be different. He wanted to figure out a way to give people something in return for their kind donations. Dladla has always had a deep love for books and decided to share his passion with others. Dladla has always had a deep love for books and decided to share his passion with others. In exchange for money, he began to sell books. But he didn’t just sell the books like a regular bookstore – he read the books first so he could provide his customers with a thorough book review. He even has a system where he prices the books according to his review and rating. For his least favourites he charges 10 South African Rand, about $1 US. He sells his personal favourites for up to 80 South African Rand or $6 US. He quickly acquired the nickname the “Pavement Bookworm” and his business began to grow. 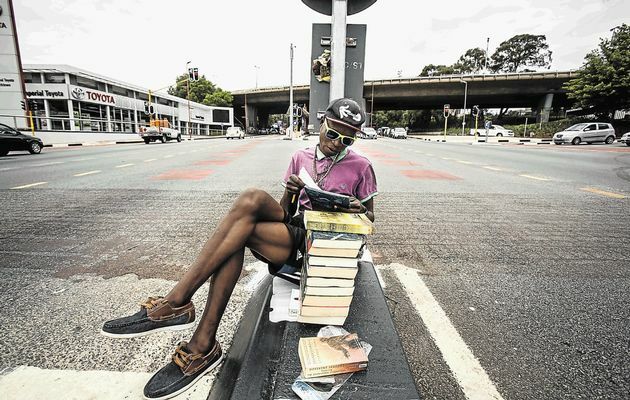 Dladla began to use the income from his book sales to help the others he met living on the streets with him. He bought soup and bread for everyone rather than spending the money on drugs. Dladla states, “Seeing their smiles motivated me to keep using what little I had to spread happiness.” Through self-motivation, self help books, and the joy he was able to bring to others he knew he wouldn’t return back to drugs. 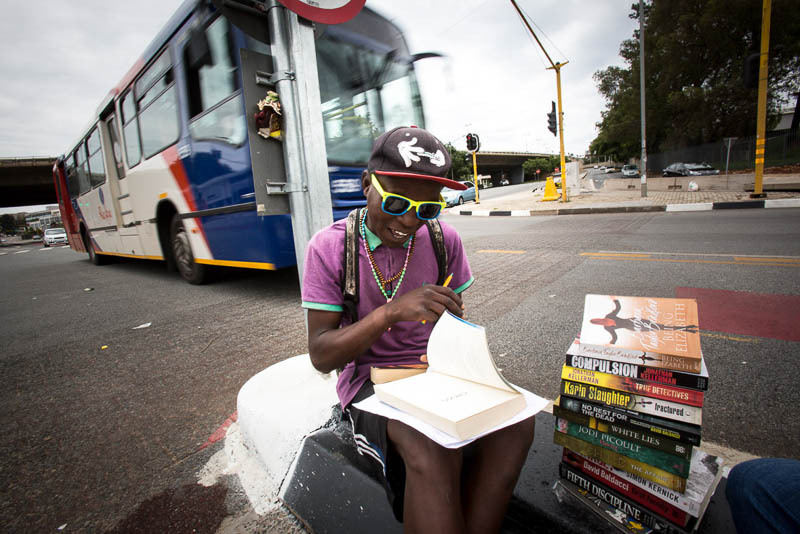 Dladla began to use the income from his book sales to help the others he met living on the streets with him. He decided to continue to share his love of books, and continue his philanthropy through creating a Book Reader’s Club for local children to read after school.